A child’s path to success begins long before school starts. Often, delays are not recognized until elementary school or later. Early detection of delays and Early Intervention (EI) services can put many children on a typically developing path. That’s why Summit County’s First Things First Initiative offers FREE developmental screenings in partnership with Summit DD. The Ages and Stages Questionnaire, 3rd edition, or ASQ-3, is one of several screening tools recommended by the American Academy of Pediatrics. It’s easy to use and can assist you in learning about your child’s development. An early childhood professional reviews each response and provides you with individualized results and recommendations for your child. 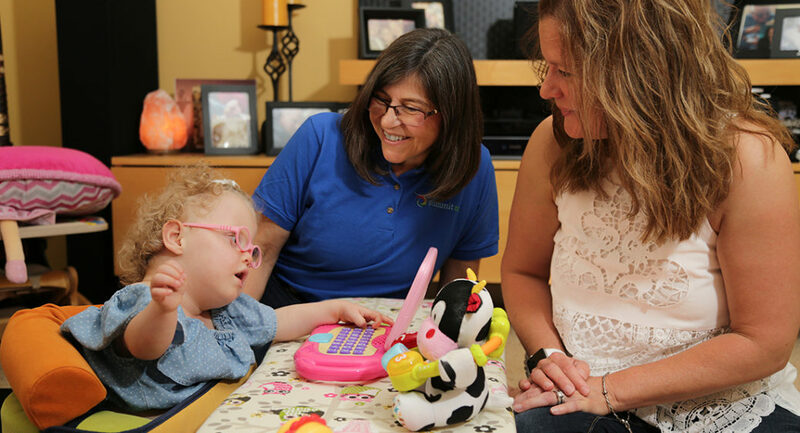 If your child is not meeting a milestone or experiencing significant delays, Early Intervention services may be available for you through Ohio Early Intervention – a statewide system that provides coordinated services to parents of infants and toddlers with disabilities or developmental delays. It is recommended that parents complete a screening for their child at 3, 6, 9, 12, 18, 24 and 36 months. The screening is free and takes the guesswork out of determining if your child is missing developmental milestones. Take your FREE ASQ-3 screening here. Social and emotional well-being is also important to a child’s development. The Ages & Stages Questionnaire: Social Emotional (ASQ:SE) is a screening tool to help gauge your child’s emotional and social development. It includes questions about your child’s ability to calm down, take direction and follow rules, communicate, among other things.The ASQ:SE can be used for children ages six months to 60 months. Just like the ASQ-3 screening, the ASQ:SE is free of charge to take and the results are evaluated by a professional. If it is determined that your child is experiencing delays in their emotional and social development, Early Intervention services may be available to you. Early Intervention services provided by Summit DD are at no cost to your family, regardless of income. EI services are made possible by funding provided through levy dollars, including the most recently passed Issue 3.